American shooters and hunters dating to the 18th Century have been firing on a variety of targets for defense preparedness, hunting and competition. As technology has advanced, so have the targets we use. 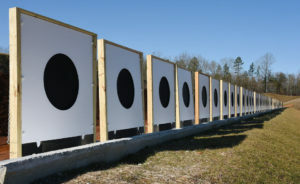 For decades, printed targets have been the mainstay of military, police and civilian marksmanship activities - and will remain an important part of our sport indefinitely. The science of precise acoustic sound management and measurement, however; has taken us into the next generation of targetry - electronic scoring of projectile impacts from conceal carry distances to upwards of 1,500 yards and virtually every distance in between. With technology developed by Kongsberg Target Systems (KTS) of Norway, CMP Targets is bringing unmatched electronic target performance to the U.S. market as KTS’ sole North American distributor. The CMP made history at Camp Perry in June as the CMP Cup Series week was the first successful competitions ever fired on the base’s ranges using CMP’s mobile electronic targets. Over 36,000 rounds were sent downrange, with less than 50 questioned by competitors throughout the week. 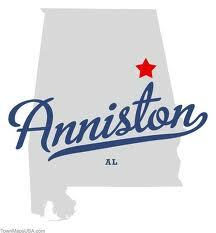 The Civilian Marksmanship Program built the nation’s most progressive and technologically advanced marksmanship park in one year and opened it to the public in May 2015 in Talladega, Alabama. It houses the only three-tier electronic target line in the world, using technology developed by KTS. From a common firing line, shooters can fire on targets at 200, 300 and 600 yards without moving from their firing point. Targets are raised and lowered remotely from the range’s control room and no personnel are required to go downrange except for normal maintenance. 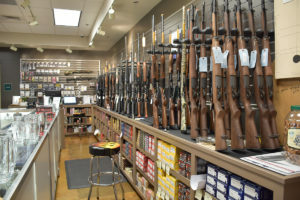 The engineering, hardware and software developed by KTS was a pioneering effort which is opening a new world to future ranges in the U.S. and abroad. Testing and uprading the technology in the park’s first year using real-world data provided by its first 22,000 unique visitors has yielded invaluable information - to the benefit of future ranges using CMP Targets, fueled by KTS. There is no other public facility that has undergone more experimentation and scrutiny than CMP Talladega. As evidenced by the growth of technology in America today, virtual scoring is the next logical step for our sport. To encourage the participation of juniors in target shooting programs, technology and time savings are highly important in bringing youth to our ranges and making their time as productive as possible. It is a goal of CMP Targets to make the greatest use of time spent on the range in marksmanship activities. Electronic scoring shifts the emphasis of conducting a match or practice from running the range to safely concentrating on shooting skills - sight alignment, trigger control and developing shot technique. Do we anticipate electronic scoring replacing static or pit-served targets everywhere? Certainly not. Just as the gas grill and charcoal grill co-exist in America’s backyards, so will electronic and paper target systems. It’s a matter of practical and economic consideration. Throughput, time savings, and very importantly - increased safety - are all critical considerations for planners of new ranges or upgrades of older facilities. For those ranges or clubs that host events with mutiple relays on the firing line all day, CMP Targets by KTS can greatly reduce match time using electronic scoring and keeping all personnel behind the firing line until firing is complete. 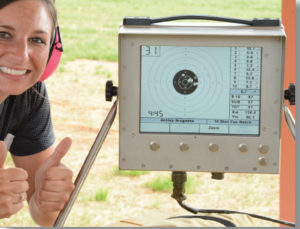 At manually-operated target ranges that convert to electronic scoring, there is no longer a need for pit changes, saving shooters the time and distance traveled, not to mention shooter fatigue on hot or rainy days and the same for their corresponding relay partners. For ranges with static, walk-down targets, there’s no longer a need to post, score and replace targets or repair wind-blown or rain-damaged targets. 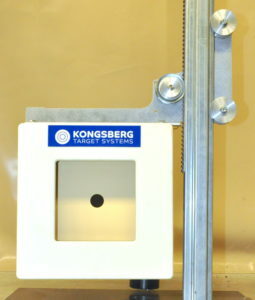 Once the range is made ready for the day, it is operated from the firing line, unless target face changes are required for multiple-distance events. Safety at static target ranges is a huge advantage of CMP Targets, particularly during open sessions. Normally the entire range must go cold when a new shooter arrives. Typically the range goes into cease-fire mode while the new lane is prepped and made ready for action. With CMP Targets, a new shooter can walk in, log into the system, set up a firing point and begin shooting without disturbing the rest of the range. 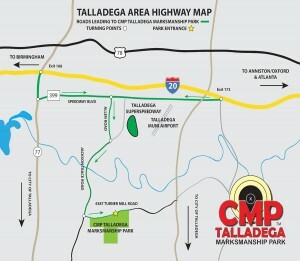 Become a permanent part of the CMP Talladega Marksmanship Park. 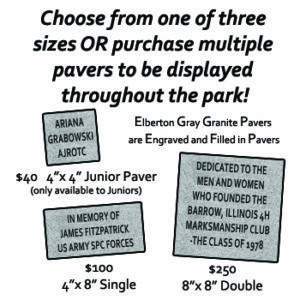 Leave your legacy on one or more than three firing lines throughout the park with a personalized engraved granite paver. 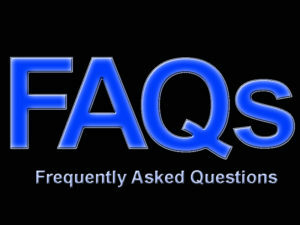 This page will redirect to the latest monthly events. More Info In CMP Target Systems OPTICSCORE TARGETSVisit our website at http://thecmp.org/cmp_sales/opticscore-targets/. One of the many features of CMP’s Talladega Marksmanship Park that makes it a must-see destination for new and experienced marksmen is the inclusion of the Talladega Pro Shop – conveniently located right within the 13,000 square feet of the Club House.